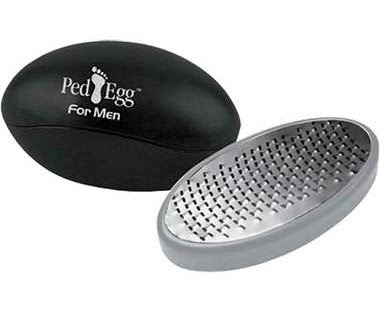 Ped Egg for Men is a MUST for any guy who likes to take care of his feet. This is the XL manly version of the original wildly popular white Ped Egg for women. OK, I'll admit it. I was a little early to the party and ahead of the curve on this one. I started using the white one way before the stylish men's version came out. Hush. This is basically a foot file, but there are some features about it that make Ped Egg the best exfoliation my feet have ever experienced. Ped Egg has precision micro-files that remove rough spots, dead skin and calluses from your feet easily. This gives your dogs the Ped Egg exfoliation that leaves 'em feeling soft, fresh and smooth. 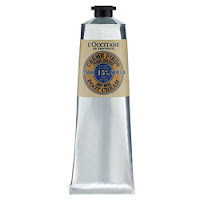 Follow up with some L'Occitane Shea Butter Foot Cream and you're your feet will be rockin' and not crackin'. This makes it on my Top 10 list! I love my Ped Egg!